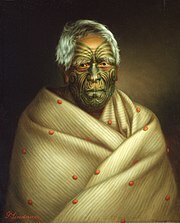 There are an estimated 2 million ethnic Polynesians worldwide, the vast majority of whom inhabit independent Polynesian nation states (Samoa, Niue, Cook Islands, Tonga and Tuvalu) and form minorities in Australia, Chile (Easter Island), New Zealand, France (French Polynesia and Wallis and Futuna), United Kingdom (Pitcairn Islands) and the United States (Hawaii and American Samoa). Polynesians, including Samoans, Tongans, Niueans, Cook Islands Māori, Tahitian Mā'ohi, Hawaiian Māoli, Marquesans and New Zealand Māori, are a subset of the Austronesian peoples. They share the same origins as the indigenous peoples of Southeast Asia (especially the Philippines, Malaysia and eastern Indonesia), Madagascar and Taiwan. This is supported by genetic, linguistic and archaeological evidence. The origins of the Polynesian people are addressed in the theories regarding human migration into the Pacific, which began about 3,000 years ago. These are outlined well by Kayser et al. (2000). 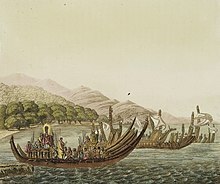 The most widely accepted theory is that modern Austronesians originated from migrations out of Taiwan between 3000 and 1000 BC; travelling via the Philippines and eastern Indonesia and from the northwest ("Bird's Head") of New Guinea, on to Island Melanesia by roughly 1400 BC, reaching the western Polynesian islands right about 900 BC. However, Soares et al. (2008) have argued for an older pre-Holocene Sundaland origin within Island Southeast Asia (ISEA) based on mitochondrial DNA. Analysis by Kayser et al. (2008) discovered that only 21% of the Polynesian autosomal gene pool is of Melanesian origin, with the rest (79%) being of East Asian origin. Another study by Friedlaender et al. (2008) also confirmed that Polynesians are closer genetically to Micronesians, Taiwanese Aborigines, and East Asians, than to Melanesians. The study concluded that Polynesians moved through Melanesia fairly rapidly, allowing only limited admixture between Austronesians and Melanesians. Thus the high frequencies of mtDNA B4a1a1 in the Polynesians are the result of drift and represent the descendants of a few East Asian females who mixed with Papuan males. The Polynesian population experienced a founder effect and genetic drift. A popular theory among scholars and native Royal Polynesian Monarchy (Tongan, Tahitian, Hawaiian; Monarchies) is that the genesis point from which Polynesia was finally populated was through the Polynesian Island archipelagos of Samoa (Sacred Center). The Islands of Samoa are theorized to have been the gestation point from where which the initial roots of Polynesia patiently formulated over time, religion, philosophy, spirituality, language, Arts, culture and then spread forth through eastern Polynesia through the spreading of Samoa's Religion (Aitu, Kahuna, Tafuna). Through their Polynesian Aitu religion, the worship of animal, human deities and a pantheon of Gods and Demi-Gods which would grow exponentially in Eastern Polynesia, with the construction of monolithic Tiki Deities in Tahiti, Rapanui and the spread of the spiritual belief of Mana; a Polynesian spiritual life force which governs all living beings. The results of research at the Teouma Lapita site (Efate Island, Vanuatu) and the Talasiu Lapita site (near Nuku'alofa, Tonga) published in 2016 supports the 'out of Taiwan' theory although with the qualification that the migration bypassed New Guinea and Island Melanesia. The conclusion from the research published in 2016 is that the initial population of those two sites appears to come directly from Taiwan or the northern Philippines and did not mix with the ‘AustraloPapuans’ of New Guinea and the Solomon Islands. DNA analysis of modern Polynesians indicates that there has been intermarriage that results in a mixed Asian-Papuan ancestry of some Polynesians. The research at the Teouma and Talasiu Lapita sites implies that the migration and intermarriage, which resulted in mixed Asian-Papuan ancestry of some Polynesians, occurred after the first initial migration to Vanuatu and Tonga. The preliminary analysis of skulls found at the Teouma and Talasiu Lapita sites is that the skulls lack Australian or Papuan affinities and instead have affinities to mainland Asian populations. Polynesian persons are noted to have, on average, larger bone structure and muscle mass than Caucasian persons, which has implications for BMI comparability in measuring obesity. Polynesians' physical characteristics help them perform well in some physical sports, including American football and rugby union. ^ "Mitochondrial DNA Provides a Link between Polynesians and Indigenous Taiwanese". PLoS Biology. 3 (8): e281. 2005. doi:10.1371/journal.pbio.0030281. ^ a b Pontus Skoglund; et al. (27 October 2016). "Genomic insights into the peopling of the Southwest Pacific". Nature. 538 (7626): 510–513. doi:10.1038/nature19844. PMC 5515717. PMID 27698418. Retrieved 11 January 2017. ^ Skoglund, P; Posth, C; Sirak, K; Spriggs, M; Valentin, F; Bedford, S; Clark, GR; Reepmeyer, C; Petchey, F; Fernandes, D; Fu, Q; Harney, E; Lipson, M; Mallick, S; Novak, M; Rohland, N; Stewardson, K; Abdullah, S; Cox, MP; Friedlaender, FR; Friedlaender, JS; Kivisild, T; Koki, G; Kusuma, P; Merriwether, DA; Ricaut, FX; Wee, JT; Patterson, N; Krause, J; Pinhasi, R; Reich, D (3 October 2016). "Genomic insights into the peopling of the Southwest Pacific - Supplementary Note 1: The Teouma site / Supplementary Note 2: The Talasiu site". Nature. 538 (7626): 510–513. doi:10.1038/nature19844. PMC 5515717. PMID 27698418. ^ Stride, Peter (10 January 2016). "Polynesian Bones". British Journal of Medicine and Medical Research. 16 (7): 1–9. doi:10.9734/BJMMR/2016/25651. Retrieved 14 April 2018 – via ResearchGate. ^ Snowdon, Wendy; Malakellis, Mary; Millar, Lynne; Swinburn, Boyd (2014). "Ability of body mass index and waist circumference to identify risk factors for non-communicable disease in the Pacific Islands". Obesity Research & Clinical Practice. 8 (1): e36–45. doi:10.1016/j.orcp.2012.06.005. PMID 24548575.